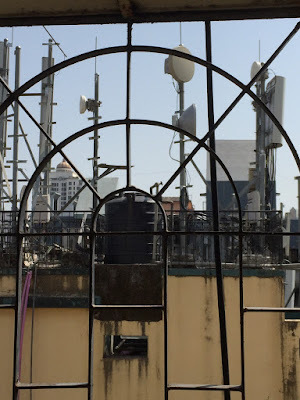 I converted my MTNL pre-paid Triband connection to a postpaid one last week. I had observed some time ago that going pre-paid pays, but MTNL has made it rather difficult for me. They have discontinued the online re-charge facility for Triband, forcing me to visit the nearest MTNL office to get a re-charge voucher/ scratch card. Since I prefer to manage all my utilities online, I took the decision to switch to a post-paid connection. The procedure was extremely smooth. I visited the MTNL office, submitted an application and next day, I got a call to confirm that it had been done. Of course, I lost the remaining value in my pre-paid account, but I did not have to go through any down time. MTNL does not permit post-paid Triband users to switch to pre-paid and I was informed that only recently, they have created the ability to convert pre-paid to post-paid. In fact, mine was the first case. Once more, I am impressed with MTNL's speed and efficiency and the high quality of customer service. Of course, with the shrinking number of landlines, the state owned telco has had to pull up its socks. It obviously makes sense for companies to encourage users to switch to post-paid connections as it increases their ARPU (average revenue per user). However, while on the topic, I want to mention that when I converted my Reliance Net Connect account from post to pre-paid, I faced a lot of difficulty. I had to visit the Reliance office three times - to collect a form, submit the form with ID proofs and then to pay a pending bill for 5 days (the 5 days that the company took to convert the connection were charged to me as pro-rata monthly rental. Smacks of unfair practice to me, as I believe that my post-paid meter should stop running from the day I submit my application). Further, I was called by customer service, not to solve my problems but to convince me to continue my post-paid connection. I have heard from some other people about how difficult it is to convert a post-paid to a pre-paid connection. And MTNL is certainly lowering their service standards for pre-paid, forcing me to make a shift. Maybe it is time that TRAI looks into this aspect and regulates telcos.